About schools that I have visited or schools that I plan to visit. On december 12, 2014 I visited the new location (with many different buildings). The Agnieten College in Nieuwleusen is part of Landstede College. 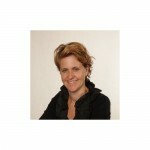 Headmaster is Esther den Ouden. Landstede College is a large school. Esther den Ouden invited to me join the school during the ‘Week of Science, Technique, Engineering and Math (STEM)’. 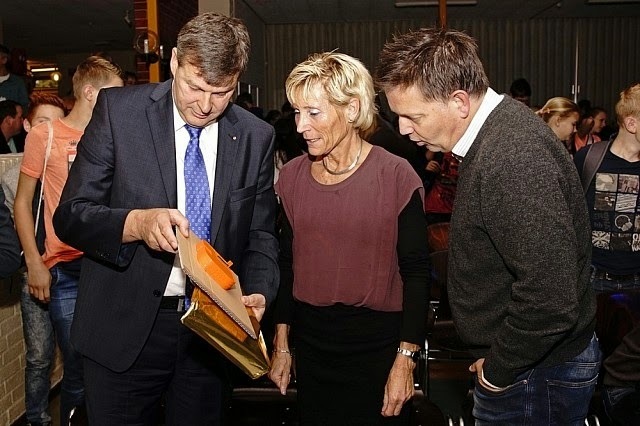 During the openings presentation of this ‘Week of Engineering’ the major received a 3D printed version of the Town hall of Dalfsen (the city of NieuwLeusen is part of the larger Dalfsen-area). On october 8 and october 9 of 2014, I gave workshops and presentations for students age 12-16 years. During these 2 days I gave some lectures and presentations about 3D print with an Ultimaker and 3D design with TinkerCad and YouMagine 3D. I brought an Ultimaker Original with experimatal Dual Extrusion printhead. Also, I brought an Ultimaker2, so the children could 3D print as much ah they liked.